What happens if the President of the United States abuses the power of the Office? How does the system of checks and balances protect citizens from an unconstitutional leader? 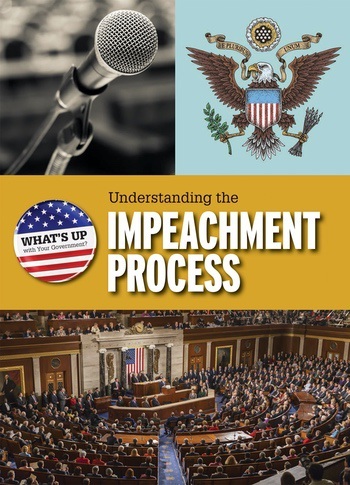 This comprehensive book empowers readers to ask challenging questions about the impeachment process and provides crucial context for pivotal events in U.S. politics. Readers will learn about complex issues through historical and contemporary examples. Photographs illustrate key moments and ideas, while fact boxes offer fast facts on essential topics. Highly informative and accessible, this book will be an important addition to any library or classroom.